St. Luke’s Hospital is the first and only hospital in the St. Louis area to replace ink footprints with digital footprints to enhance security for newborns. The new infant safety system, developed by CertaScan, provides an extra layer of security by capturing and storing high resolution digital newborn footprints. These footprints can be used for precise identification in emergency situations. The process is quick, painless and inkless, and it is entirely safe for babies and all users. 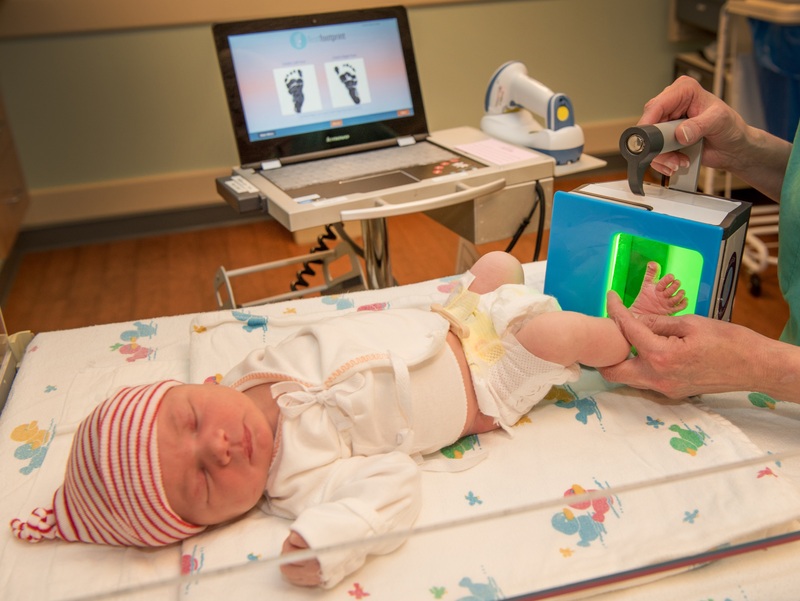 The baby’s foot is placed on a small optical scanner which takes multiple scans in seconds and selects the highest quality image. The scanner uploads the digital footprint to the baby’s electronic medical record and CertaScan’s secure database. St. Luke’s gives parents a complimentary birth certificate with their baby’s footprints, and parents can download the digital footprints online to create additional keepsakes.